Funded by Knowsley Public Health, delivered by Knowsley Chamber of Commerce. The scheme is dedicated to improving the health and wellbeing of the borough’s workforce. 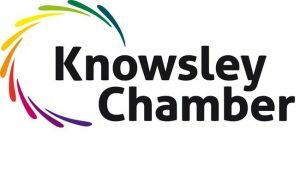 Is your business an SME in Knowsley? Through Working Well you can access various FREE services that aim to improve the health and wellbeing of your employees, support your efforts to reduce sickness absence, and assist you in complying with Health and Safety legislation. We know that there is a distinct link between investment in the health and wellbeing of employees and positive outcomes for the organisation and the employee. Investment in employee health does not need to be large amounts of money. During the 6 years of the operation of the scheme it has been evident that investing time can have huge rewards, therefore Working Well aims to provide benefits with little or no monetary investment. Through Working Well, SMEs based in Knowsley can access a health and wellbeing grant of up to £500, to introduce health initiatives into the workplace. You can receive guidance and support from our Working Well Co-Ordinator, Lorna.